Whether you’ve put the boat down for wintering or not, here’s my suggestion for a 10-point checklist. Normally the flares must be replaced every three years. Whether it’s distress flares, parachute flares or smoke flares, check the expiration dates printed on them. If they are set to expire in the middle of the season, put a reminder on your calendar or replace them immediately to be sure it’s done alread. Remember, for obvious security reasons, to deposit them in a place provided for this purpose, inquire with your harbor master. It is very easy to do! Check the gauges on all the extinguishers on your boat to make sure they are in the green zone. If some of them seem to have been partially unloaded, replace them with approved fire extinguishers. Tip: It is sometimes more interesting to replace a small fire extinguisher purchased in your Shipchandler than to have them s by a specialized “marine” company. Shake your existing extinguishers a bit to release the fireproof powder that might have hardened to the bottom. Also make sure that the bracket holds the extinguisher well. The Epirb must be registered at the National Frequency Agency (ANF: https://www.anfr.fr/accueil/) with your MMSI number if your boat is French registered, if not please refer to you flag’s authorities. Check with this organization that your beacon is registered, if it is not the case, it has no use since no help will be triggered in case of distress. Most tags have a “Test” mode, it’s time to activate it to see that everything works but watch out for unwanted distress call. Make sure the fabric, straps, buckles and flotation materials are in good condition. If any doubt, discard and replace with brand new lifejackets. If you have inflatable lifejackets, remove and inspect the CO2 cartridges, check the LEDs and inflate them manually and put everything back in place (that’s work!) In case of damage or use, replace them by new ones. Make sure you have a powerful electric foghorn on board. I also advise you to buy one more, for safety a plastic horn like this: Horn of fog, which will replace the first in case of failure. For that price it would be a shame not to have one onboard. 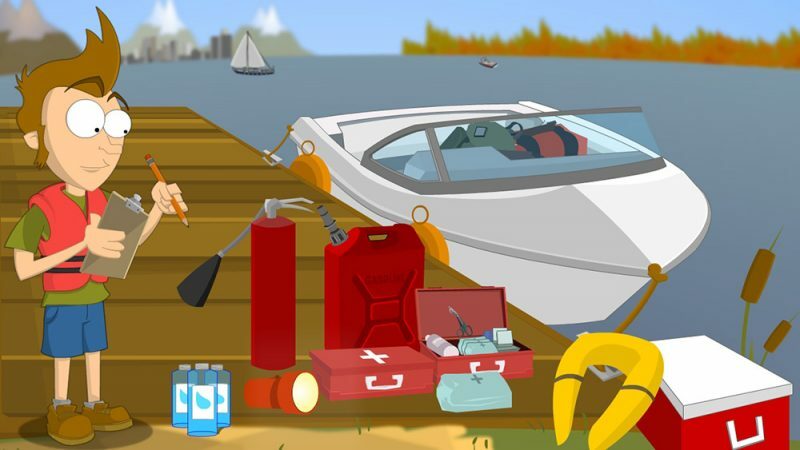 Replace all the batteries in your flashlights and other equipments and buy extra batteries to keep them on the boat. Batteries tend to oxidize quickly in the marine environment of the boat. You can expect to have some in advance well locked in a plastic bag. This is a year-round check, not just during security checks. Indeed it is perhaps the most important element in terms of security. We inspect the bilge pumps at every visit without exception to the boat of our client who has subscribed out a boat maintenance package. The pump must be tested from the control knob but also by lifting the float to see if the pump will automatically trip in case of flooding. If your bilge pump is not equipped with a float, I recommend that you install one as soon as possible. Also check if the cables are in good condition, that they do not show any corrosion. Inspect all your mooring: chain, rope, shackles, replace items that show excessive corrosion. Also check the condition of the windlass motor, to avoid corrosion spray from the WD40 on it. Remember that in terms of safety your chain locker must be equipped with a stationary knife that will allow in an emergency to cut the end that attaches the anchorage to the boat. Turn on all the navigation lights, anchor lights to make sure everything is working so you don’t have the surprise that the navigation lights are not working when you really need them most. 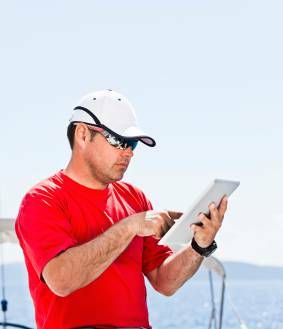 We can plan a boat safety-related inspection tour by either following the flag’s recommendations or doing a series of more general checks as part of our boat maintenance packages on the French Riviera.